Physical limnology is the study of the physical characteristics of aquatic ecosystems and forms the core of aquatic research. These data are central to understanding and investigating aquatic ecosystems; everything living in a lake is dependent upon the right balance of many different aspects of physical limnology, like water temperature, dissolved oxygen, light attenuation and even water colour. By analyzing these data along with water chemistry, hydrology and meteorology, we are able to get a complete picture of aquatic ecosystems and how they change over time. All of these data combine to give us insight into trends in the biology of aquatic ecosystems. 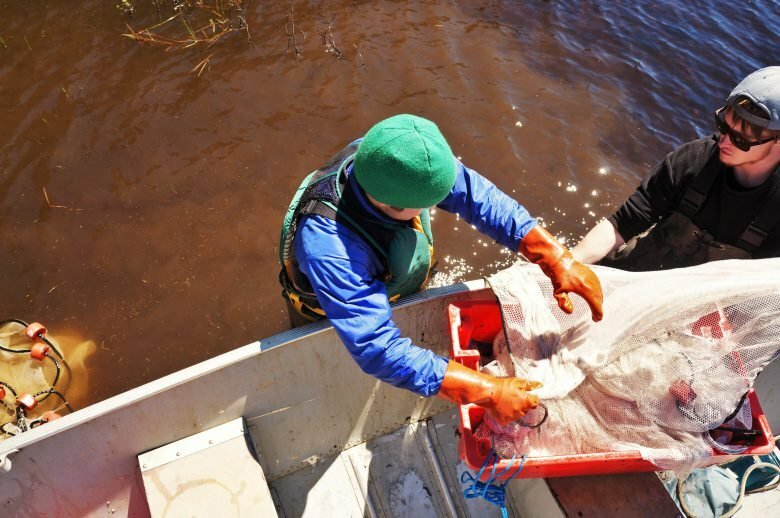 At IISD-ELA, we collect these data using precise and accurate equipment and techniques in order to ensure we are producing the highest quality data possible. Data we collect are part of a long-term dataset that we use as controls for experimental manipulations and to investigate the effects of a changing climate. Basic limnological parameters are monitored on all long-term ecological research (LTER) lakes, as well as a variety of experimental lakes, throughout the year. Data are collected regularly throughout the open-water season and twice over the winter for select lakes. Bathymetry data exist for many lakes, as well as annual ice thickness and ice on/ice off dates for Lake 239. See our data request page for more information.